Kanye on Kanye: "Good at art, bad at celebrity"
In a moment of self-awareness during an interview with Steve McQueen, rapper Kanye West observed that he sees himself as "a bad celebrity, but a pretty good artist." West participated in the conversation at the Los Angeles Country Museum of Art for the opening of his collaborative film with Steve McQueen, entitled "All Day / I Feel Like That." The video features a 9-minute-long take and captures two of Kanye's forthcoming tracks. Kanye says of McQueen, "I elevated my palate...I wanted him to be in charge...It wasn't overly thought out. He came to our wedding, also." He added, "I go off on these rants that don't make any sense, but I don't give a -." The name Kanye means "the only one" in Swahili. Kanye West is a huge Fiona Apple fan. He has been quoted as saying "I hold you higher than Lauryn Hill in my eyes." 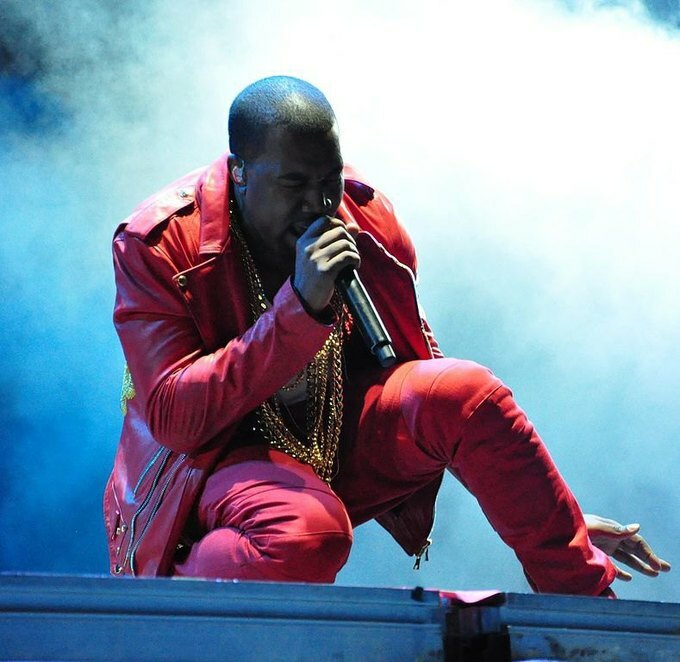 Kanye West is the eighth most successful artist in the history of the Grammy Awards.